London ruled to expel 23 Russian diplomats alleging that Moscow was guilty of poisoning Russian former intelligence officer Skripal and his daughter Yulia. Today, in accordance with the demands of the British authorities, 23 Russian diplomats are leaving the UK. Including family members, 80 people will depart the United Kingdom. Russian diplomats expelled from the United Kingdom over the case of former Russian spy Sergei Skripal and their families left on Tuesday the Russian embassy in London and are heading to the airport in more than 10 cars, a Sputnik correspondent reported. All the employees of the embassy came out to see their colleagues off; there were many hugs and kisses. The remaining diplomats waved to the departing cars. Russian Ambassador to the United Kingdom Alexander Yakovenko will come to the airport to personally say goodbye to the departing diplomats. British diplomats expelled from Moscow as part of Russia's response to London's move will return home in the coming days. Earlier, UK Prime Minister Theresa May said that it was "highly likely" that Russia was responsible for the Salisbury incident and later announced a package of anti-Russia measures, including the expulsion of Russian diplomats from the country and the interruption of bilateral contacts between London and Moscow. The Russian Foreign Ministry denied all the allegations and requested the UK Foreign Office to allow a joint investigation into the case. 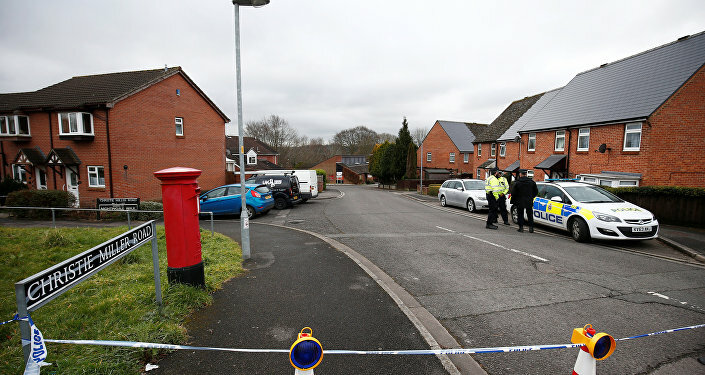 Russian former intelligence officer Skripal and his daughter Yulia were found unconscious earlier in March on a bench at a shopping center in the UK city of Salisbury. Both of them remain in critical condition.